I was very lucky to win a contest on my favourite stamp forum last month and today an envelope of stamps arrived in my mailbox. It’s been storming hard here lately so I was surprised to see the mail carrier out and about, but was happy to receive something in the mail that wasn’t a bill. But the package was a bit of a surprise. Looks like this letter had some troubles getting to Regina. I can see water damage on the bottom of the letter and the side of the cover is torn. 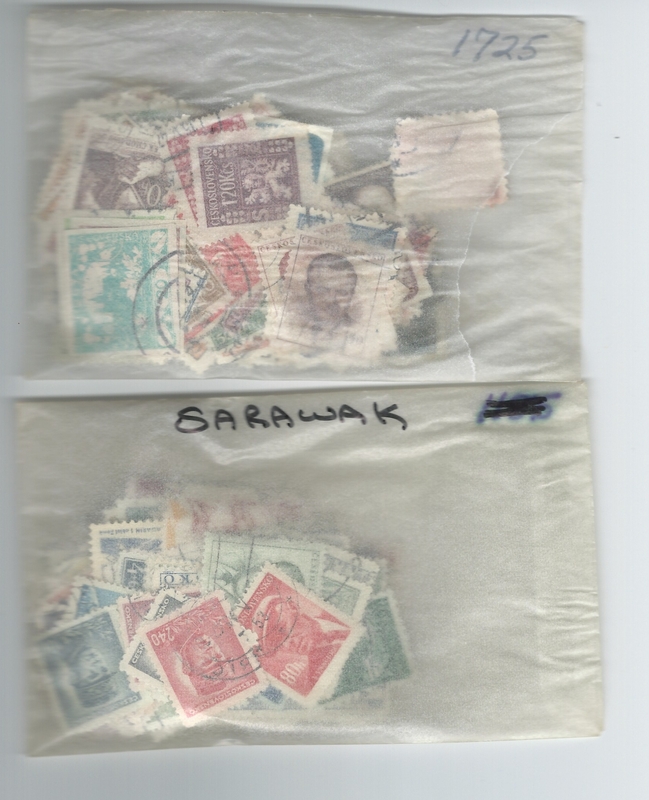 Luckily, the fellow who sent the letter is an experienced collector, so the stamps weren’t loose in the envelope. They were split between two glassine envelopes and wrapped in lightweight cardboard. 99% of the time this is a great way to send stamps through the mail. In this case, however, the letter must’ve been dropped in a puddle and left there for a long while. One of the glassines is just fine but the other got water inside too. So the stamps are stuck together in one brittle brick. Good news though – all the stamps are used, so a gentle soak will loosen up the top stamps. The sender of the letter did a good job of protecting the contents, I think. These are common stamps after all, and this damage is uncommon in my experience. But if I were sending expensive stamps through the mail, I’d be sure to add a waterproof layer inside the envelope too. If this were a mint Penny Black I’d be mighty upset at Canada Post right now. If the stamps are expensive, waterproof the envelope, inside or out. And consider using insured mail. Even following these tips, mistakes will happen, like what happened to me today. But they are rare if you take the precautions above. In 20 years of sending and receiving stamps in the mail, this is the first disaster that’s occurred to me.